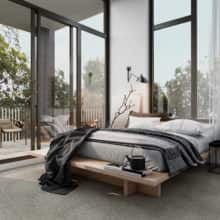 MARISSA GEORGOPOULOS WESTERN Sydney hub Penrith is due for its biggest transformation yet – a $500 million residential development that will push the suburb to new heights. 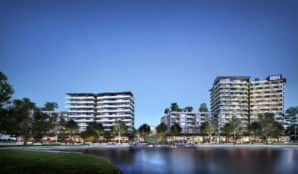 The monumental new estate known as East Side Quarter will include 11 buildings ranging from four to 15 storeys and offer panoramic Blue Mountains views, a resort-style pool deck, play areas for kids and a retail laneway. The estate will also have a lakefront dining precinct, wellness retreat and regional play spaces. The first luxury apartments will hit the market next month. Telegraph the project was the culmination of long-time planning. “We’re very excited to finally put it out to the public,” Mr James said. “All up, it is 850 apartments, 3500sqm of retail, and it will be what we’re calling the first urban village of Western Sydney as it spans more than 6.5ha. Over half the site is landscape.” Neighbouring the site is the Penrith Panthers Leagues Club. Mr James said the proposal was welcomed by the Panthers board. Club members have been offered an early chance to buy into the 152 units being made available in the project’s first release in July. 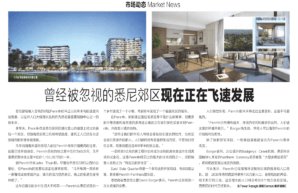 “We have gone out to them over the past week and in that time we have had over 50 per cent of the apartments pre-sold. This shows the local market has been crying out for this level of development. “There has been a healthy mix of buyers but downsizers have certainly shown strong interest.” Each apartment will have at least one car space. The one-bedders start from $400,000. Two-bedroom units are upwards of $550,000. The threebedders are priced from $700,000. 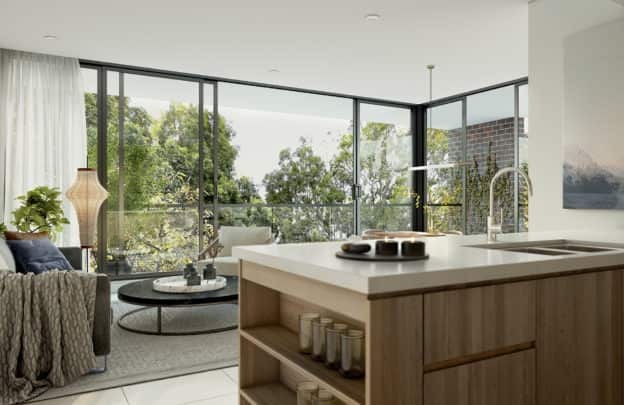 Architects Turner will incorporate stone benchtops, porcelain floor tiles and mirrored splashbacks in kitchens and bathrooms. Construction of the first two buildings will start this year, with doors set to open to residents in 2020. The $500 million project known as East Side Quarter will transform Penrith with 11 buildings, 850 units and about 3500sqm of retail space.